Europe's most scenic train ride is the Glacier Express across southern Switzerland. The most scenic boat ride is from Stockholm to Helsinki. We Americans get the shortest vacations in the industrial world. With so little time, the pressure is on to make all the right choices when planning a trip. But how to select the right destination? It ultimately depends on your interests and your tastes -- and what your experienced travel writer tells you. It's my job to sort through all the travel-industry superlatives and "top 10" lists. Readers naturally want to know the Best, but it's just as important to know the Worst. With that in mind, I've pulled together a round robin of my candid opinions on the best and worst European destinations. 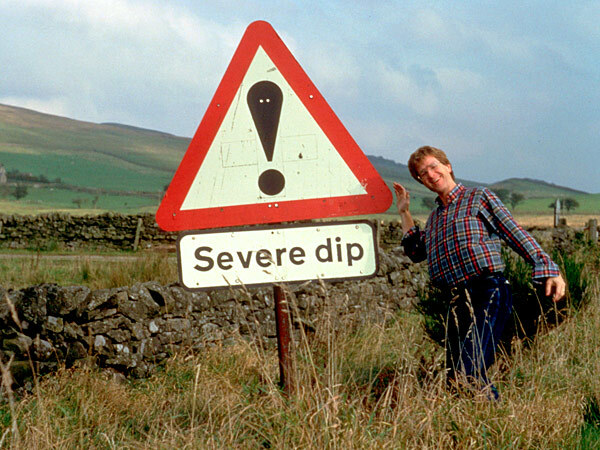 Some would call me a severe dip, but the area just north of Hadrian's Wall is boring. London, York, Bath, and Edinburgh are the most interesting cities in Britain. Belfast, Liverpool, and Glasgow are quirky enough to be called interesting. Oxford pales next to Cambridge, and Stratford-upon-Avon is little more than Shakespeare's house -- and that's as dead as he is. 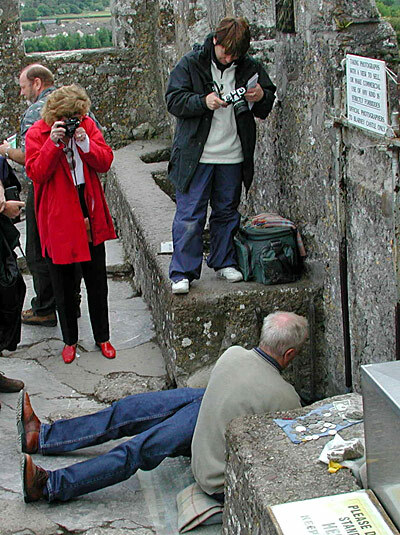 This is not a crime scene, unless you consider time wasted in the Emerald Isle to see Ireland's ultimate tourist trap (the Blarney Stone) a crime. Geneva, one of Switzerland's largest and most sterile cities, gets the "nice place to live but I wouldn't want to visit" award. It's pleasantly situated on a lake -- just like Buffalo is. While it's famous, name familiarity is a rotten reason to go somewhere. If you want a Swiss city, see Bern or Luzern instead. Germany's famous Black Forest disappoints more people than it excites. If it were all Germany offered, it would be worth seeing. For Europeans, any large forest is understandably a popular attraction. But I'd say the average American visitor who's seen more than three trees in one place would prefer Germany's Romantic Road and Bavaria, or the Rhine and Mosel country -- all high points that cut the Black Forest down to stumps. After Prague, Kraków (Poland) and Budapest (Hungary) are Eastern Europe's best cities. Bucharest, Romania's capital, has little to offer. Its top-selling postcard is a view of the InterContinental Hotel. Europe's most scenic train ride is the Glacier Express across southern Switzerland. The most scenic boat ride is from Stockholm to Helsinki -- countless islands and blondes. Europe's most underrated sight is Rome's ancient seaport, Ostia Antica, and its most misunderstood wine is Portugal's vinho verde (green wine). I'll close with a lightning round of "ultimates" (what travel writer can resist? ): the ultimate medieval walled town in Germany (Rothenburg), prehistoric stone fortress in Ireland (Dún Aenghus), Italian Riviera port town (Vernazza), hike in England's Lake District (Catbells above Keswick), neighborhood pub in London (The Anglesea Arms), castle in North Wales (nope, I still can't pick just one)...and pedestrian market street in Paris (Rue Cler). 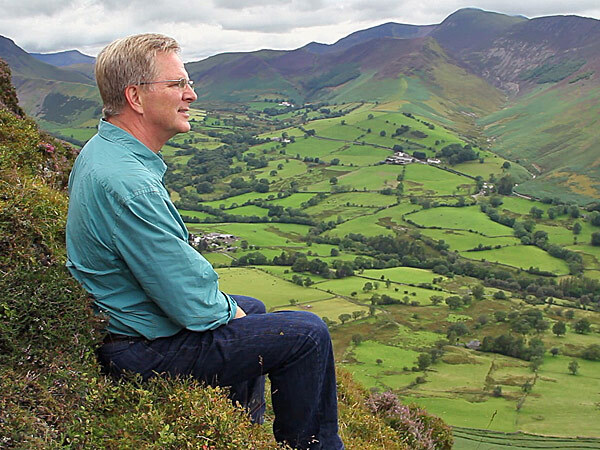 Pondering the vast wonder of the Cumbrian Lake District from the summit of Catbells can be a highlight -- literal and figurative -- of any visit to northern England. Having stuck my neck out to say all this, I must add that it's always fun -- and necessary -- to reassess opinions (mine have certainly changed over the years). These are just my personal feelings after more than 100 months of European travel. As you sort through these "bests" and "worsts," go ahead and disagree. (That's what Facebook comments are for.) And, of course, don't let any travel writer limit your freedom to find your own ultimates.